Six years ago Opus Affair was started by Graham Wright to bring together artists, friend of artists and those who are passionate about art and culture. Since that time, Opus Affair has grown significantly and regularly hosts all sorts of interesting programs and events; they even recently opened a chapter in Miami. 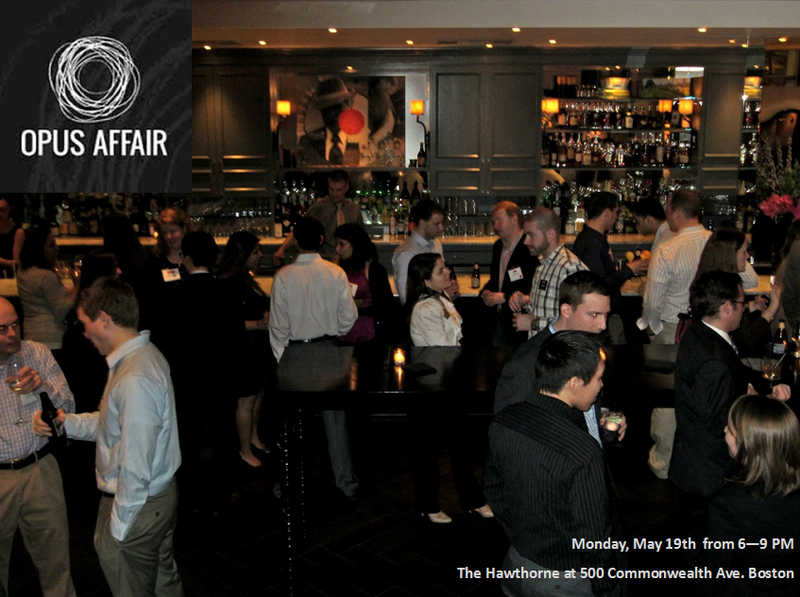 To commemorate their 6th birthday, tomorrow – Monday, May 19th, Opus Affair will gather at The Hawthorne in Kenmore Square to mix, mingle, enjoy a cocktail or two and raise some money for three local arts charities through their innovative, charitable drinking game (a.k.a. “Punch Bowl Fund”) that you can read more about here. No plans after work on Monday? Check out this friendly group. More information here.